Bake tortillas in oven until slightly crispy. Spread one tortilla with refried beans, dotting with picante sauce. Spread sour cream on second tortilla. Put second tortilla on top of first tortilla, sour cream side down. Bean side up on first, sour cream side down on second, like a sandwich. 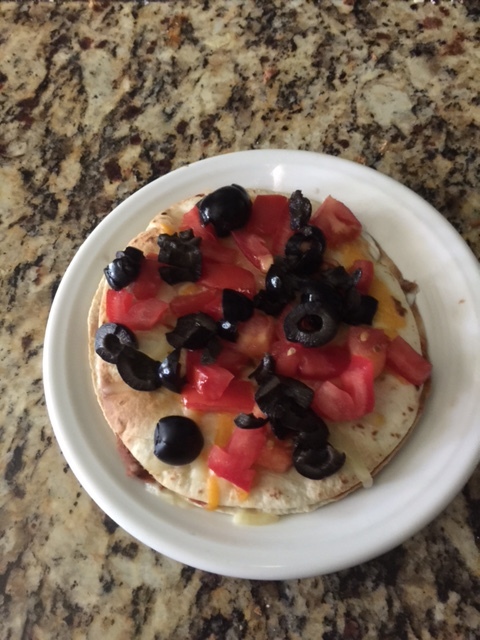 Top with tomatoes and black olives.